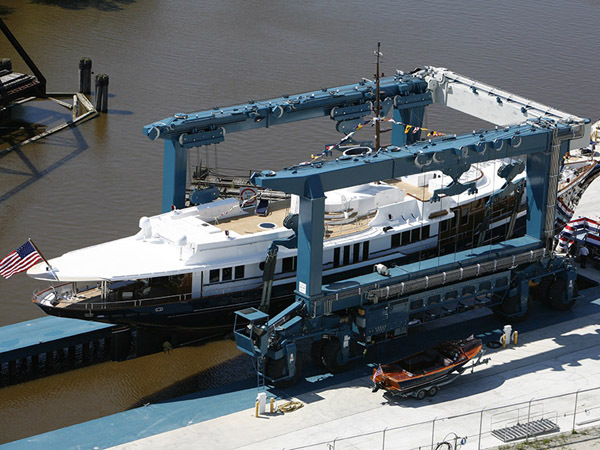 500 ton travel lift for sale makes boat lift and transport safer and easier. 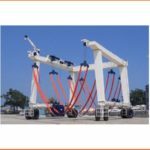 As a heavy duty lifting crane, 500 ton boat hoist is equipped with complete safety protection devices, such as overload protection, anti-falling protection device, safety hook latch, audible and visual alarm, rain cover, protective earth conductor and so on. 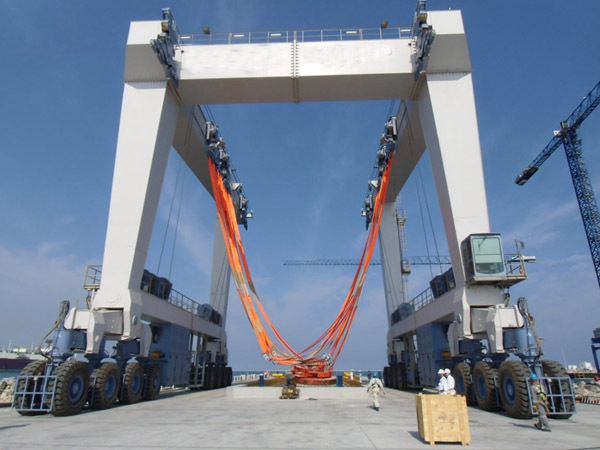 Our company, a professional and experienced travel lift supplier in China, provides types of marine boat hoist cranes for sale, such as remote control travel lift, cabin control travel lift, small boat hoist crane, large vessel lift crane. For any specific travel lift, just contact us, and send email to sales@ellsentravellift.com, and we will provide the most meticulous customized service for you! Our company has large producing factory. If you buy types of travel lifts from our company, you never worry about the medium factory and extra expense. 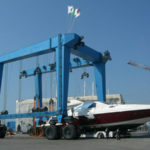 We sale kinds of marine boat hoist cranes with factory price. Diesel generators make the travel lift powerful, and great choice for large boat. With diesel generators, travel lift can lift heavy yacht easily and transport it smoothly and stably. This can save much energy and labor. Customers just need to push the control, and the travel lift moves according to the command. Why do many customers want to buy China travel lift? Because of factory price and reliable quality. Made-In China marine travel lift is popular in international industry market. 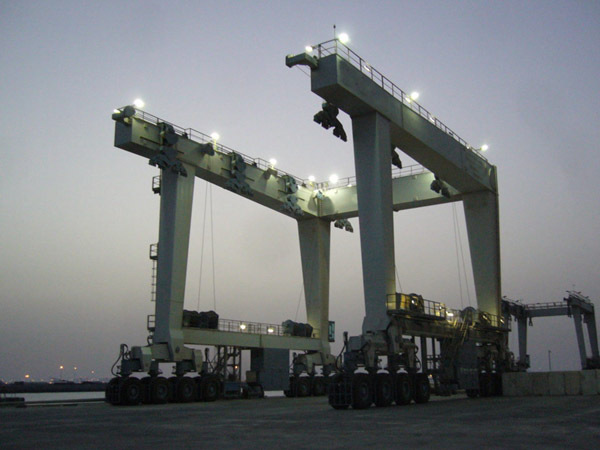 It has wide application in places, such as shipyard, wharf, dock, water sport meetings and aquatic clubs. It is also used for construction site. The U shape design with three beam is reasonable and practical. It makes the travel lift wide span and enough room for large boat. 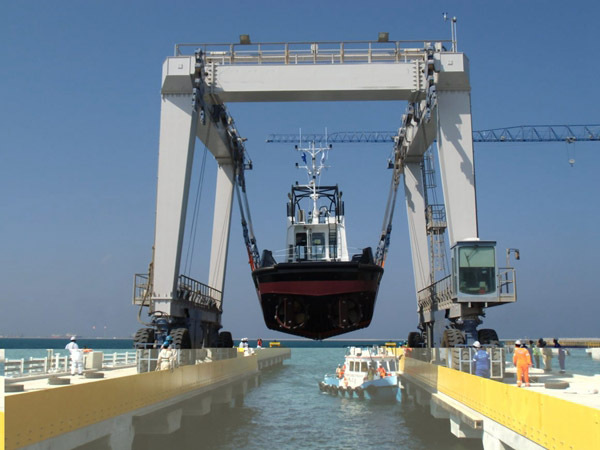 It can lift the boat that is wider than the hoist crane itself. 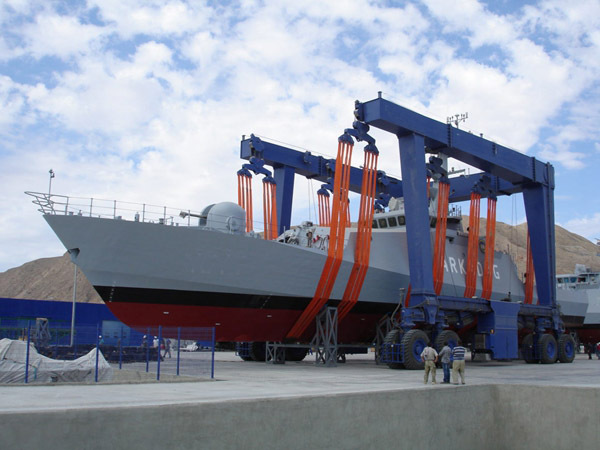 Why not choose China factory 500 ton houseboat lifting crane? 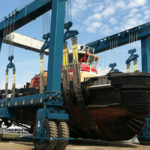 The boat lifting includes hydraulic units imported from Europe and America. It has the features of smooth sunning, adjustable speed, compact frame. 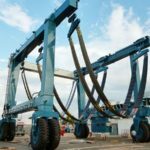 The crane has two types of operation, electric control and manual control. It can slew flexibly at any angle 360°. The crane traveling system is functional. It can move in diagonal direction, steer in 90 degree, and put the boat in any designated position according to requirements. 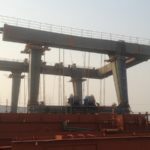 In order to handle different side boat, the travel lift can adjust the width of the main girder according to the boat. 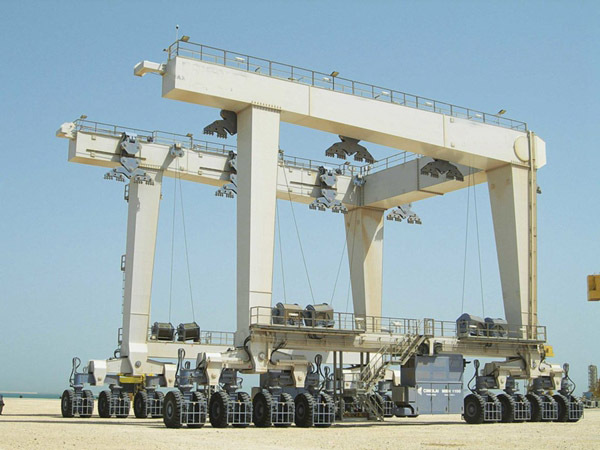 Such heavy duty travel lift has advantages as less cost, stable performance, easy operation and simple maintenance. It takes low cost on daily operation. 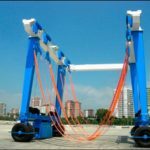 This large travel lift has soft and durable sling to make sure no harm to the boat when hoisting. 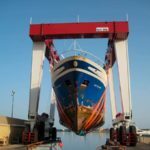 To lift and transport boats, travel lift can make the boat in order quickly, and adjust the gap between each boat according to different conditions.